Today we highlight Archstone Consulting, a new firm on the block that is quickly making a name for itself in the consulting neighborhood. Founded in 2003 by two former Deloitte partners, Archstone Consulting specializes in helping companies eliminate operational inefficiencies, cut costs and invest resulting savings back into the growth of the firm. Although the firm lacks a long, storied history, it counts over 60 Fortune 500 companies as clients. Archstone Consulting was founded and built on a different premise than more traditional players in the industry; namely, that being smaller allows the firm to deliver quality services more efficiently than the competition. While originally founded as an independent strategic firm, Archstone Consulting was acquired by leading enterprise benchmarking firm The Hackett Group in 2009. The new kid has made a big impression, and now it’s time to see what makes Archstone Consulting (The Hackett Group) unique among firms and if it could be the right fit for you. While The Hackett Group’s brain trust is located in Miami, FL, the 11 regional managers who lead Archstone Consulting day-to-day are spread out across the country. Note: Archstone Consulting operates in the market as The Hackett Group, however, for the purposes of this article, we will refer to The Hackett Group’s consulting arm as Archstone to differentiate from the rest of The Hackett Group’s portfolio. Archstone Consulting will require you to choose a practice area to specialize in, so be cognizant of this when applying for a position, as well as when networking. For networking in particular, make sure you are networking with someone working in the practice area you specialize in or would like to specialize in. The Archstone Consulting focus doesn’t mean you won’t get to work in other areas, but you will spend a majority of your time in one of them. Archstone Consulting specializes in working with clients in the Consumer Products (especially packaged goods), Life Sciences, and Manufacturing sectors. While you may get a chance to work in the variety of practice areas the firm employs, you will be limited to these three industries. While the 3 segments are arguably some of the largest and sexiest in the business, the limitation may admittedly get a little boring after a while and is a common reason young consultants decide to move on from the firm. Archstone Consulting has local offices in 8 countries, including the U.S., Germany, India, United Kingdom, Uruguay, France, Australia and Canada. However, Archstone’s largest presence is by far in the United States, with 5 offices spread out from coast to coast. With only 5 offices in a market as large as the U.S, you can see that Archstone Consulting is still very much a young, emerging player in the market. Because Archstone Consulting is a relatively small firm, you can expect to be involved in many different kinds of projects and become competent in many different issue areas. However, it is not unheard of for a partner to pick you to work on a long-term project with the same client for an extended period of time. As you move up the ladder from Analyst to Consultant to Senior Consultant (usually every 1-2 years), you are able to specialize in one sector while still being available to work on any project the firm might have. At the Manager, Director and Principal level, however, the firm requires that you have a specific area of specialization. Expect it to take 3-4 years to get to the Manager level, another 4-5 for Director and another 4-5 to get to Principal. Still, if you launch your career at 25 you’re looking at Principal before you’re 40 – not too shabby! Exit opportunities to more general consulting are quite plentiful from a place like Archstone Consulting. Because of the strategic nature and variety of your projects, it is easy to show that you are well balanced in your skill set and exposure to different kinds of firms and projects. Plus, if you’ve done work for a client that your prospective new strategy firm is interested building a relationship with, this all of a sudden could move your name up the list when the firm is hiring. The only drawback? Because of its small size, Archstone Consulting is not well known to large brand-name firms. It is also quite easy to make the jump into almost any industry from Archstone Consulting. With an in-depth knowledge of sourcing and procurement, business strategy, or supply-chain management for some of the fastest growing companies in the world, almost every firm on the planet will find you an asset. The only question will be – will they be able to afford you? The firm is different than almost any consulting firm on the planet, in that there is no internship program. Experienced hires only, please! Archstone Consulting prides itself on taking care of its people; compensation and benefits are industry-average (lower than MBB, but higher than many other boutiques), although the bonus scheme is a secretive black box and even employees don’t exactly know its ins and outs. Just to give a quick overview, base salaries at the Consultant level average about $115k, they move up to around $140k for the Manager level, $170k at Director, and are upwards of $250k for Principals. Once hired, Archstone Consulting places great importance on quickly getting you into the training program and then on to projects. However, many former employees have noted that the training program is subpar at best. Processes at the firm are well defined, the work is interesting and you’ll get to work with some of the best benchmarking material in the business by virtue of Archstone’s parent owner, The Hackett Group. You will be traveling quite a bit (up to 80%) but there is availability for mentorship when you are in the office. You will have to be intentional, however, about finding someone to mentor you. You typically won’t be sought out unless someone higher up really sees special potential in you. Generally, weekly meetings with your manager are available and the atmosphere is collegial; many current and ex-employees reference how smart and friendly the people are that they have worked with at Archstone Consulting. However, while your co-workers may be industry experts and overall nice people, the office culture at Archstone Consulting is limited when compared to a firm like Bain. Generally speaking, there is not as much of an emphasis placed on building relationships outside of work, and therefore not as many opportunities to do so – plan to get in, get to work, and get out. Finally, at Archstone Consulting your performance will be judged by your billable hours, so be prepared to work more hard than smart. Quarterly results drive decision making, which we’re not saying is positive or negative; just be prepared for it. However, Archstone Consulting does place a huge importance on community service, specifically collaborating with local organizations to bring positive change in the communities where it has a presence. Check out this page to see Archstone’s latest projects in local communities. Let’s start from the top: the recruiting process is straightforward and the firm is good about answering all of your questions through the process. The typical hiring process from application to offer will vary largely depending upon the position that you are applying for, but you can expect the timeline to take anywhere from 2-12 weeks. 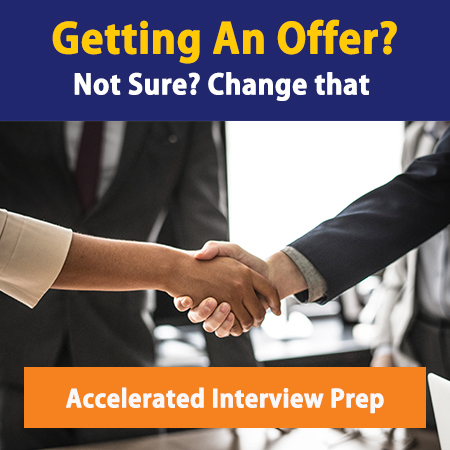 Be prepared for 3-4 rounds of interviews, the first of which may consist of connecting with a recruiter for a phone screen. This is where you make your elevator pitch to give a good overall picture of who you are – and make sure you specify an interest in a particular practice area. This will be followed by 1-2 rounds in the office with 2-3 interviews per round with Consultants and Managers (2+ years of tenure) for more specific questioning regarding your past experience and the role for which you are interested. You can also expect to go out for lunch with someone from the specific office you are applying for. Archstone Consulting requires case interviews that are typical mid-range case interviews – not as numerical as McKinsey, but more specific strategy (and numbers) than HR cases. In addition, you get a special bonus: Archstone Consulting regularly asks you to make a 15 minute PowerPoint presentation for a prospective client as well. Nervous about the presentation-style interview? Networking your way into a position at Archstone Consulting is not hard to do if you’ve got the right education and experience. Set up your LinkedIn profile and search for The Hackett Group employees in your network. LinkedIn shows 100+ employees of The Hackett Group, so it’s possible you know someone who knows someone who knows someone at the firm. This is especially important if you want to land a position here, as the firm does not recruit for its recruiting practice on campus, but via referral only. If saving companies money, providing strategic advice and streamlining processes are your passions, you’ll be a great fit at Archstone Consulting. Archstone Consulting does not have an on-campus recruiting presence, but the following programs are well-represented at the firm.